I won't waste a lot of time in telling what was wrong in the cottage, because everything was. But as pictures explain more than words, I propose to send you the photographes I took. Not only it was disgusting we were never at our ease as we weren't even able to lock the house properly. Anyway, please indicate me how to send you the pictures so you can imagine in what condition the house is so you can do something about it. Let me be clear that if your organisation won't refund me partially I will take the necessary steps to have my lawyer to do so. I hope to hear from you very very soon. She never say anything about the villa at her arrival. She told us that she was happy, and at the end when she spend 1 week in the house, she come to us to inform us that the villa was discuting. But that not true, we have dedicated people who clean up the housse before each arrival, and in ten year of renting it was the first time who someone say this kind of remark. She try to get free vacation, but she is not honnest, because if anything was wrong she doesn't inform us when she arrived in the villa. In this case, yes we could do something to give her some discount. As she say's on this comment, she wait a return from us and she threat us to call her lawyer. But at this end it was only to receive some money back, she try to scary my grand mother about a trial, and she try to make use of old people. If i am going on a restaurant, and not satisfy with the dish , i will inform the restaurant when i receive my dish, not at the end of my diner. I do not recommend this guest, who are a dishonest guest!!!! A éviter de toute urgence. Bien que l'emplacement soit agréable, la maison est dans un piteux état, de la cuisine aux chambres en passant par la douche (Toiles d’araignées, poussière, saleté...). Le mobilier est vétuste et défoncé ( lit rongé par la rouille, matelas abîmé, cuisine de camping, fenêtres qui ne ferment pas, le parquet de la chambre principale défoncé...). Le seul avantage de cette maison est qu'elle vous forcera à passer l’intégralité de vos vacances à l’extérieur. 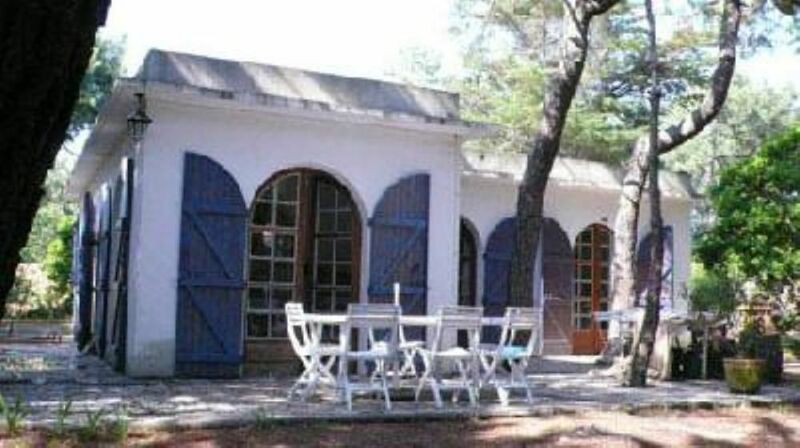 (Text automatically translated) The villa is located on the main road of Cap Ferret, petrol station 1km, connected by road by bus, very easy to access.